Due to the sensitivity of the proposed development a contaminated land planning condition was attached to the decision notice for the erected of three dwellings. 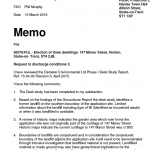 The first stage of discharging the condition was to prepare a desk study report for the site to determine the potential issues that may affect the site. The history of the site was reviewed using a combination of Ordnance Survey maps, aerial plates and street level imagery. The O.S. 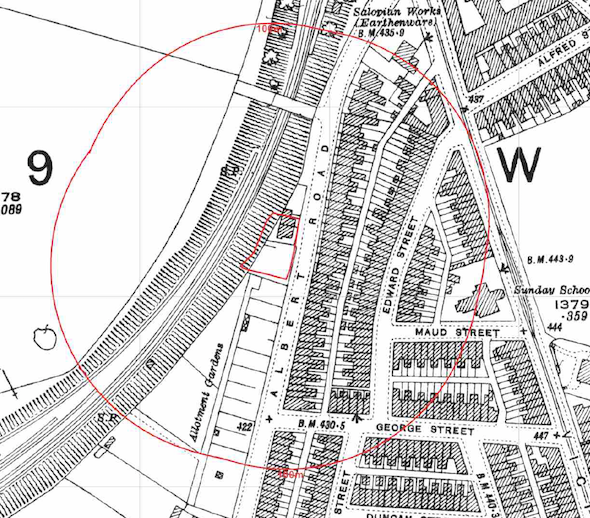 maps revealed the existing building was built in the late 1800’s, the allotment garden to the west of the site were present from 1923. The railway cutting on the northern predated the first O.S. map. The geological maps published by the BGS indicated the site may be underlain by an outcropping coal seam. Data provided by both Groundsure and the Environment agency identified a historic landfill on the western boundary of the site. On completion of the desk based assessment a site reconnaissance visit was undertaken, which confirmed the site was the garden of the adjoining dwelling. 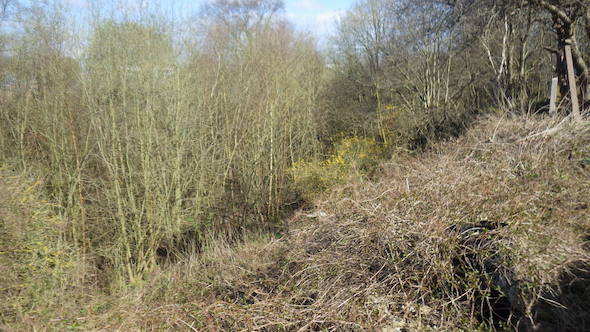 The railway cutting on the western boundary was present and the allotment gardens to the south were at a lower level than the site. 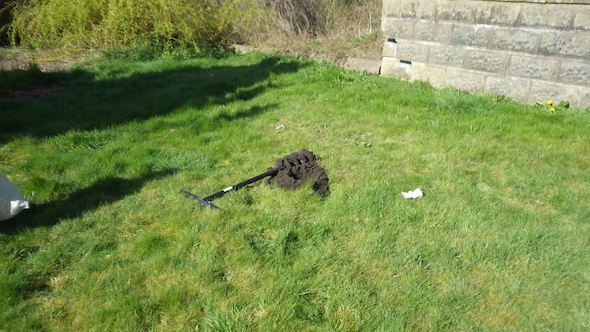 Two hand held trial pits were excavated to 0.3mbgl which did not reveal any made ground in the superficial soils. The potential risks of the potential sources of contamination were assessed and based on a qualitative assessment only off site sources of contamination were identified. 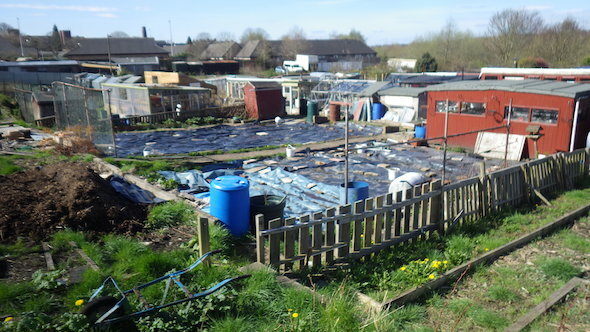 The risk of the adjoining landfill was regarded as minimal as the site had been allotment gardens since the 1923’s so was unlikely to have been landfilled. 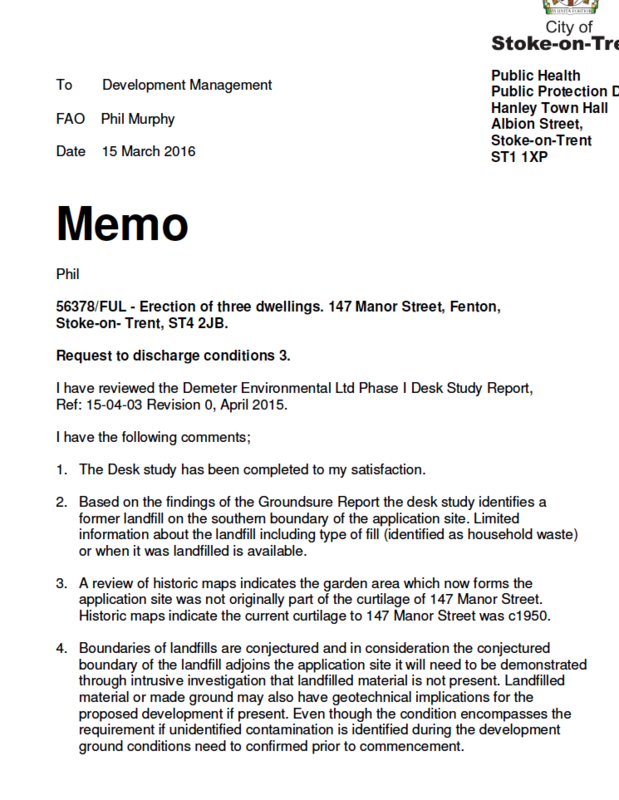 The desk study report as submitted to discharge part of the contaminated land planning condition, and whilst the report was accepted the potential of the landfill boundaries to be incorrect were raised and further intrusive works to determine if any landfilled material on the site was required. The intrusive works were undertaken in April 2016 and comprised of the excavation of seven trial pits, made ground was recorded in three positions below 300mm of topsoil. The assessment of the chemical data indicated the made ground on the site posed a potential risk to human health. 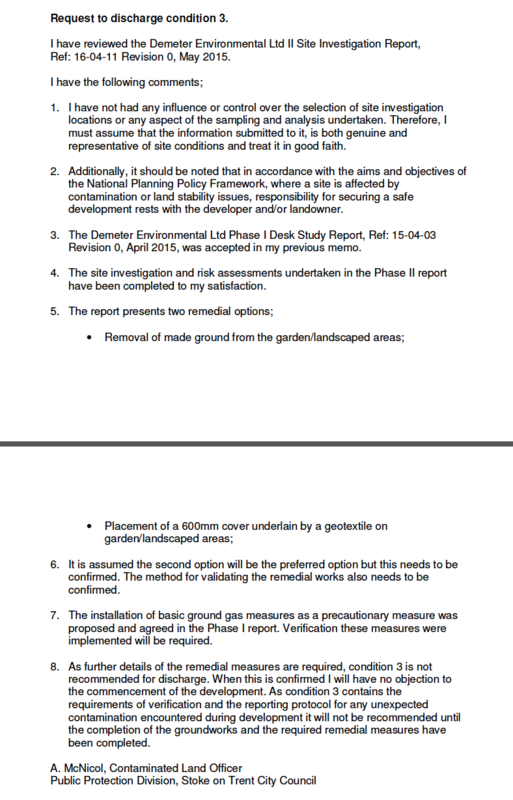 Two options for the remediation were proposed, either removal of the made ground form garden and landscaped areas (source removal) or the placement of 600mm cover on the garden and landscaped areas (pathway breakage). Given the made ground was at depth both potions were viable. 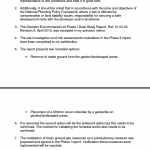 The Phase II report was submitted to discharge part of the contaminated land planning condition, which was accepted.